This was the first broadcast of Myoujin WiFi Radio. 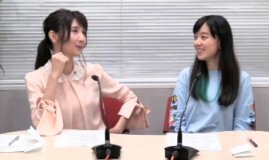 Sawako and Haruka both said that they have never been to Kanda Myoujin. They both talked about the foreign countries that they have gone to. 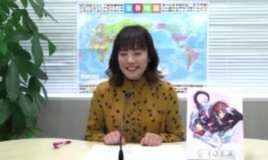 Sawako said she hasn't gone in a while. Her last trip was to Korea around 5 years ago. But she went to Hawaii, Saipan, Peking, Singapore for her previous work a while back. Sawako said she liked the scallops pasta that she ate in Hawaii. She said she couldn't eat oysters before, but she ate fried oysters in Peking, and after that she can eat oysters, both fried and raw. Haruka travelled a lot when she was a student. Recently she went to Taiwan for work. Haruka said she liked Cambodia the most. Then they explained some of the corners that they'll have on this show. 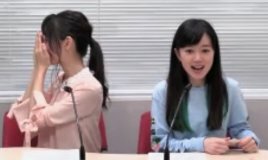 The first one was an English game corner, where Sawako and Haruka had to explain some topic using English only, and the other had to guess what the topic was. The second corner was the foreign otaku event information corner. This corner was done by a monthly assistant, and the assistant for October was a new seiyuu, Kizu Rena.